In the 100th year of its history, Gira, a family-run company in the fourth generation, presents itself as a premium brand on the electrical installation market. Technical progress and a high level of design competence, while always employing the three-level sales route with a direct connection to trade are constants that can be observed throughout Gira’s company history. The founders, brothers Gustav and Richard Giersiepen, already had clear ideas on the importance of continuous innovations for their company – they were always "looking ahead". And they have always counted on their family and built on the location in Radevormwald, of which the company name is a fine example: GIRA consists of the first letters of the family name Giersiepen and the name of the location Radevormwald. Eager to experiment, with a wealth of ideas and the willingness to innovate, the founders initially begin with a tumbler switch. However, the product line very quickly covers virtually everything necessary for electrical installation at that time, whereby at Gira the principle of high quality and good design prevails in the 20’s. In the late 50’s Gira revolutionises the industry with a modular system. Up to this time almost all switches had been completely assembled. The variably combinable switch system from Gira has far-reaching consequences, as it means the specification of a completely new technical standard. The same cover plate for all switches and push buttons – whether they’re round, square or as a combined insert. And Gira also dares to introduce something new optically. The phosphorescent, green rockers that grow darker with time are consistently replaced with white rockers. With the related advertising campaign with the headline "Ganz weiß ist doch schöner" (Because all white is better looking)" Gira now also directly addresses architects. And architects in particular prove to be quite impressed by the next development step that Gira takes. In 1966 Gira introduces the "surface switch", with which switching can be triggered on virtually the entire cover plate. The new switch range from Gira sets standards that are soon followed by all well-known switch manufacturers. However, it also marks the beginning of the added-value installation, i.e. of an additional range that, in addition to the standard switches, also offers a more demanding product line at a higher price. And Gira systematically expands its claim to top design in the decades that followed. 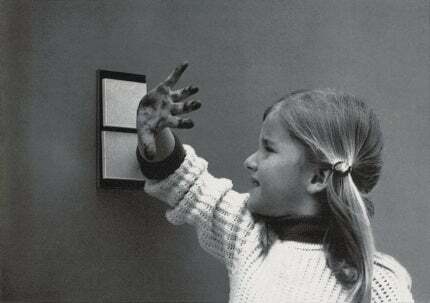 In 1970 the exclusive cooperation with the designer Professor Odo Klose, who also designs the S-Color switch, begins. At the beginning of the 80’s architects wanted switches and socket outlets they can match with the clear colours of the plastic door handles from Hewi. In 1985 Gira introduces S-Color on the market and receives several design awards. Yet the orientation toward the architects is not limited to the product range itself, but also concerns every aspect of the way the company presents itself. The communication designer Professor Hans Günter Schmitz gives Gira a new, clear profile that reflects the company’s claim to top design. With the new sales and training centre built In 1994, the company architecture is also included in the concept. One year later Gira is awarded the Award of Honour for Corporate Design and Design Management of the Design Award of North Rhine-Westphalia for its overall presentation. But the S-Color range is also pioneering from a technical standpoint. It offers over 100 electrotechnical functions, including dimmers, blind switches and later also the push button sensors of the new Gira KNX/EIB system. It is here at the latest that the most recent stage in the history of the family-run company begins: its further development to a system supplier of building installation technology. With the latest product developments Gira has taken up the challenge of the future "intelligent house". The Gira HomeServer, the Gira SmartSensor and the Gira InfoTerminal Touch not only contribute to making "dumb" buildings considerably more intelligent, but also easier for people to control and operate. In 1998 the breakneck product development takes a big step toward making delivery, storage and ordering economical for market partners. Gira therefore develops two design platforms in which all technologies are consistently integrated in the Gira world of switches, and which at the same time considerably reduce the diversity of models with the same inserts for several switch ranges. As a result, System 55 with the ranges Standard 55, E2, Event and Esprit is created for indoor use, and the design line TX_44, which is also used in energy profiles and panels, for outdoor use. Another technical innovation is the integration of complex functions in the 58 mm flush-mounted box, for example with the Gira flush-mounted radio and most recently with the Gira door communication system. The consistent integration of door communication in the world of switches enables installation from one supplier in a uniform, top design. And Gira still sees the clear chances offered to modern electrical installation technology on the domestic market today. For as long as every mid-sized car has more electronics than most new houses and flats – not to mention the retrofitting of older buildings -, there is still a considerable potential for growth here in this country. But Gira also generates grown with its know-how in using plastics. With the spectacular new building by the architectural office Ingenhoven for Gira plastics technology, the company once again proves its philosophy: transparency, innovation, design an employee motivation. After all, this also contains a clear profession of loyalty to Germany as a production location.